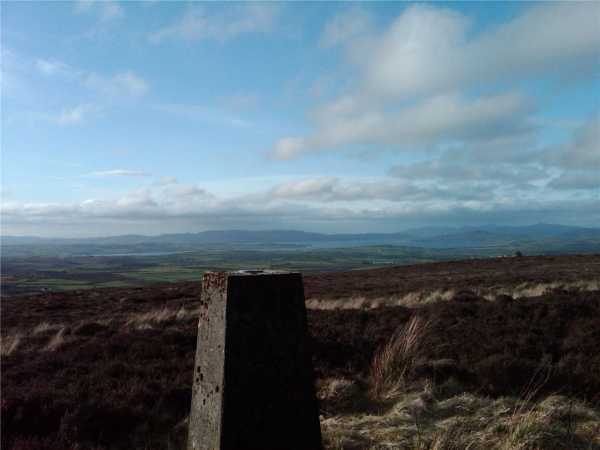 A leisurely stroll of less than 10mins each way to the breezy trig point sounds boring but the views in all directions are excellent. The weather was glorious with bright sunshine and a bit of a breeze. It's almost impossible to try and count all the hills you can see from here and I'll swear I could see as far as Binevenagh on the way back down.